The past couple of months have been unusual for the Kingdom’s English language media sector. First, Saudi’s leading English language newspaper by circulation appointed a new Editor-in-Chief Abdulwahab Al-Faiz in October 2011. 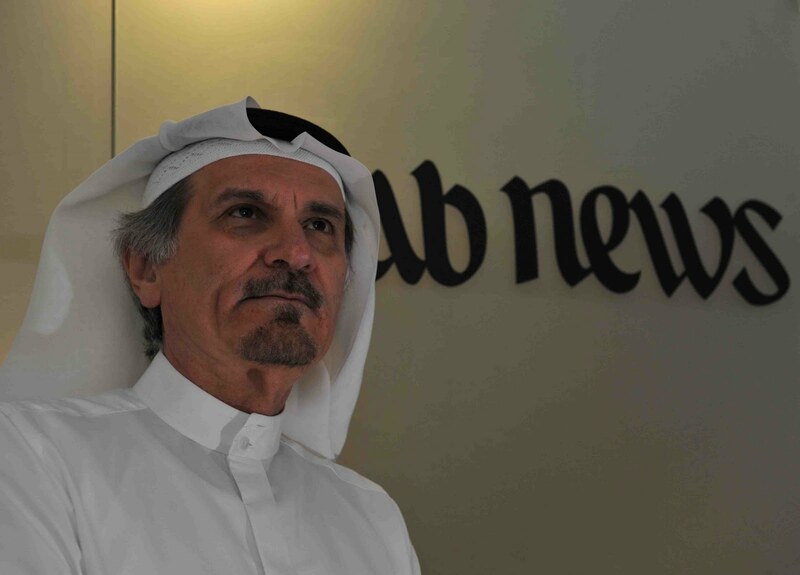 Al-Faiz, who was previously Editor-in-Chief of the Arabic-language newspaper Al-Eqtisadiah, replaced the long-standing incumbent Khaled AlMaeena. Since then, Arab News has changed some of its print layout and pulled more news from Arabic-language newspapers particularly those owned by its publisher the Saudi Research & Publishing Company. Al-Faiz was known at Al-Eqtisadiah for increasing advertising revenues through supplements and special reports. AlMaeena has been associated with Arab News for over twenty years. He built the editorial team. For many reader AlMaeena was the newspaper, he was as much Arab News as Arab News was him. Even after he’d left the Arab News in October of last year, AlMaeena still held the title of Editor at Large for Arab News (even on Wikipedia he’s still listed as their Editor-in-Chief). The announcement of AlMaeena as the Saudi Gazette’s Editor-in-Chief two weeks ago was a shock to many. However, the decision by Okaz, the publisher of the Saudi Gazette, may be a masterstroke. In many ways AlMaeena is just as much of a brand as is the Arab News. He has always supported issues associated with the expatriate community in Saudi Arabia, especially Asians. In those two weeks at the helm of Saudi Gazette AlMaeena has already hired a number of his team. The ex-deputy Editor at Arab News Somayya Jabarti and Laura Bashraheel among others are now plying their trade at Saudi Gazette. I for one hope that AlMaeena keeps doing what he does best, namely focusing on editorial quality and running stories that are in the interest of the expatriate community. Already people have been writing into the newspaper wishing AlMaeena and his team success. A letter written by a Saudi Gazette reader from Toronto congratulating AlMaeena and his team on the news of their appointment at the newspaper. So what now for the Arab News? For me, it wasn’t a natural decision to appoint Al-Faiz who had never edited an English-language paper. The announcement hinted at the publisher wanting to increase advertising and other non-advertising revenues. The danger to Arab News is that with a lack of good editorial their readership numbers will fall, and consequently their advertising revenues. My other hope is that Saudi Gazette will start adopting more social media channels to promote the newspaper. AlMaeena is a social media enthusiast who has embraced Twitter. Let’s hope that the bold move by Okaz will raise the standard of English-language media in Saudi Arabia. I can’t wait to see what AlMaeena and his team do at the Saudi Gazette. This entry was posted in Uncategorized and tagged Arab News, English media, English newspaper, Khaled AlMaeena, Okaz, Saudi Arabia, saudi gazette, the Saudi Research & Publishing Company by alexofarabia. Bookmark the permalink.